We like to think eating artisanal cheese is in itself a philanthropic act — supporting family dairy farmers, sustaining real food traditions, etc. 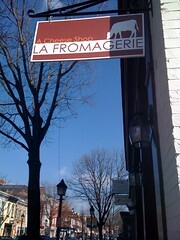 — but this weekend comes another chance to eat cheese for a cause: “Cheese for Charity” at The Melting Pot. In honor of National Cheese Fondue Day, this Sunday, April 11, Melting Pot restaurants will donate $10 per every cheese fondue order to local charities. Here in the DC area, proceeds will benefit the Leukemia & Lymphoma Society (Arlington and Reston), Juvenile Diabetes Research Foundation (Gaithersburg), and Food & Friends (DC). Visit their website to find participating locations near you and make a reservation. Spring means new lambs, calves and kids, cherry blossoms, and most importantly, the start of the annual Cheese Festival circuit. Festivals have already taken place in California and Oregon. 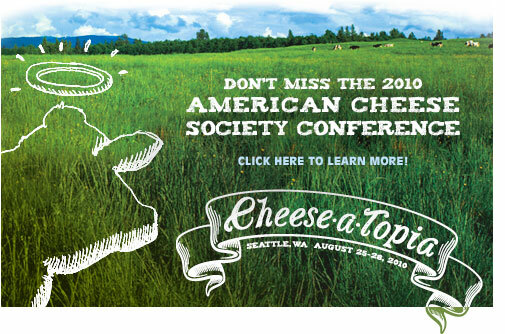 Mark your calendars now for the mother of all cheese fests, the American Cheese Society‘s Annual Conference and Competition — this year’s “Cheese-a-Topia” will be held August 25-28 in Seattle, Washington. Author Michael Pollan (of Food Rules, The Omnivore’s Dilemna, In Defense of Food, etc.) will be the keynote speaker, and the conference also features tours, workshops and seminars for ACS members. Cheese enthusiasts can join the ACS to support our domestic artisanal cheesemakers for $150 — but non-members are welcome to attend the “Cheese Oscars” Award Ceremony and the Festival of Cheese. Registration opens May 21. We’re working on updating our cheese fest and local DC/MN event calendars, so if you’re organizing an event please email us at dccheese@gmail.com or mncheese@gmail.com to be included. Thanks! The reason for our Vermont Cheese Tour, an afternoon spent at the Vermont Cheesemakers Festival, organized by the Vermont Cheese Council and Vermont Butter & Cheese Co. and hosted at Shelburne Farms. Read on for my most notable picks. With the exception of those cheeses I’ve already noted, the cheeses that were most memorable (I could hardly name a favorite) were those on the two ends of the spectrum, beefy washed rinds or creamy, fresh cheeses. If I hadn’t already believed that terroir plays a key role in the flavor development of farmstead cheese, I would be even more convinced now after tasting cheeses that were redolent with complex, grassy, sweet and sometimes floral flavors that reflected the mountain meadows we drove through on our way to Shelburne. 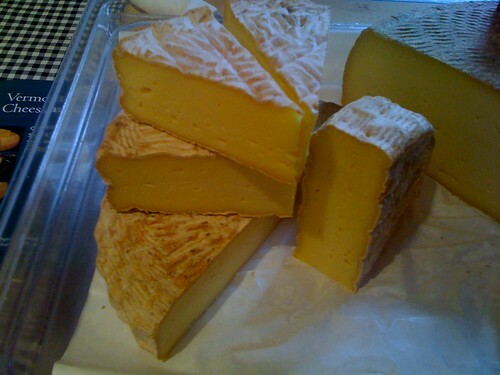 Washed rinds I loved included Dorset by Consider Bardwell, Willoughby by Ploughgate Creamery (washed in local mead), the alluring Sarabande by Dancing Cow, and of course, Oma from von Trapp Farmstead/Cellars at Jasper Hill. Oh Oma, that lusty, barnyardy, silky smooth wonder. 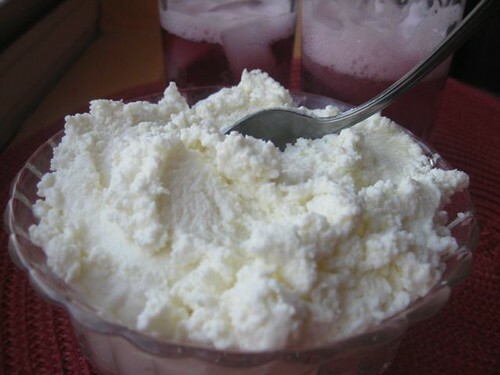 And on the fresh side, Vermont Shepherd ricotta lama, creamy chevre from Fat Toad Farm, and the incredible Narragansett Creamery ricotta (despite being an interloper from Rhode Island) are also worth seeking out. A Murray’s staff member and I chatted over the ricotta, where he wondered aloud whether the ricotta stood out on its own merits alone or because it was such a palate refresher after tasting more than a hundred rich cheeses. Either way, it was divine. The boy enjoyed the berry-topped samples and we savored it again back in New York, drizzled with honey. Delish. 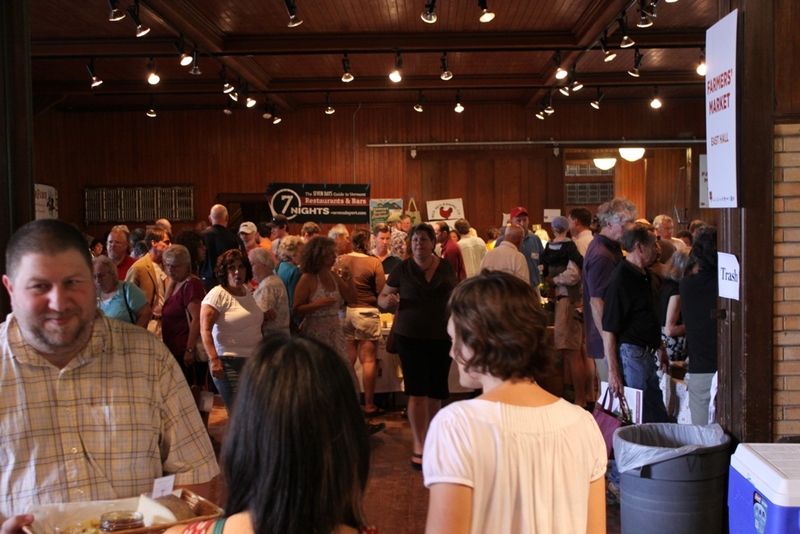 There were seminars and book signings, as well as food vendors outside the barn. I missed my cheddar and beer pairing seminar, but Boston foodie Kelly of The Pink Apron gives a review of the cheese pairing seminar by Murray’s VP Liz Thorpe. I did sample North Branch Vineyards wines, on the advice of Steve from Dancing Cow. The boy enjoyed the Ben & Jerry’s ice cream truck, naturally, and my final sampling was of a delightful horchata from one of the food vendors. 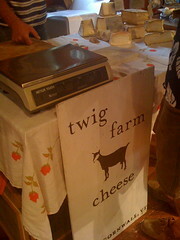 Vermont is studded with small family dairy farms, and the festival felt like a big, happy family reunion. 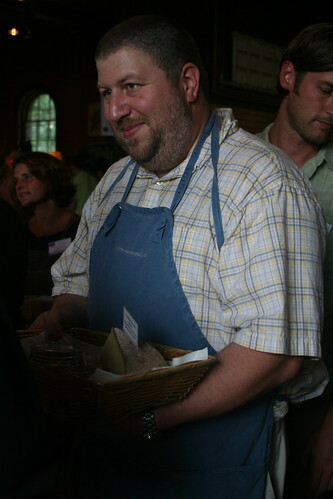 I hope to continue visiting for years to come and watching the state’s farmstead cheese revolution continue to grow. P.S. See the Whrrl slideshow for a few more pictures, though unfortunately due to an improperly charged camera battery (doh!) I was left relying on my iphone for pics.